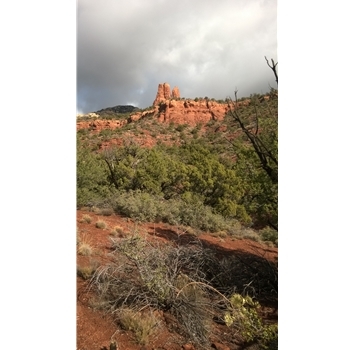 Located in West Sedona, this loop is short and sweet with surprising views! Features and Interests: Scenic Chimney Rock Pass. Trail Description Starting from the Thunder Mountain Trailhead, follow the Lower Chimney Rock Trail and the southern portion of the Thunder Mountain Trail. From the Lower Chimney Rock Trail intersection, you will take a winding trail up a short but steep climb up the Summit Trail to Chimney Rock Vista. On top of this red rock hill, you will have great 360 degree views tucked away from the city. Descending back down the loop, take a right, keeping on the Thunder Mountain Trail, and quick left back to the trailhead.